RNC Spox Sean Spicer Preps For Debate Humiliation: Hillary Is Very Skilled And Has Years Of Experience - Joe.My.God. “Clinton is a career politician who has spent years sharpening her debate reflexes and beefing up on public policy. Donald Trump is new to the format. Aside from primary debates (which have lower levels of attention on them and many more participants) Trump’s lack for formal, political, one-on-one debate experience gives Clinton a significant advantage. This view is informed in large part due to Clinton’s adroit performances in past debates. Clinton’s been at it since she was on the debate team in high school, and she has shined on some of the biggest stages before. 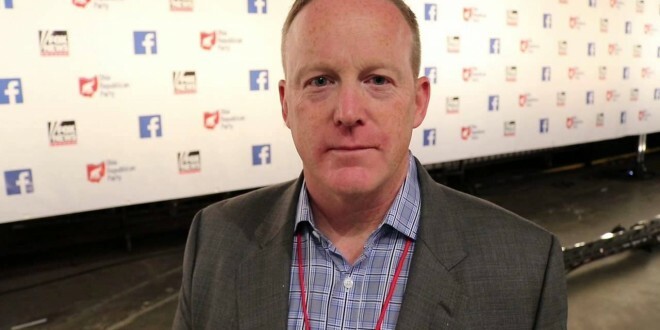 She knows how to debate and by all accounts she is a methodical and intense consumer of information in her preparations beforehand.” – RNC chief strategist Sean Spicer, via press release.